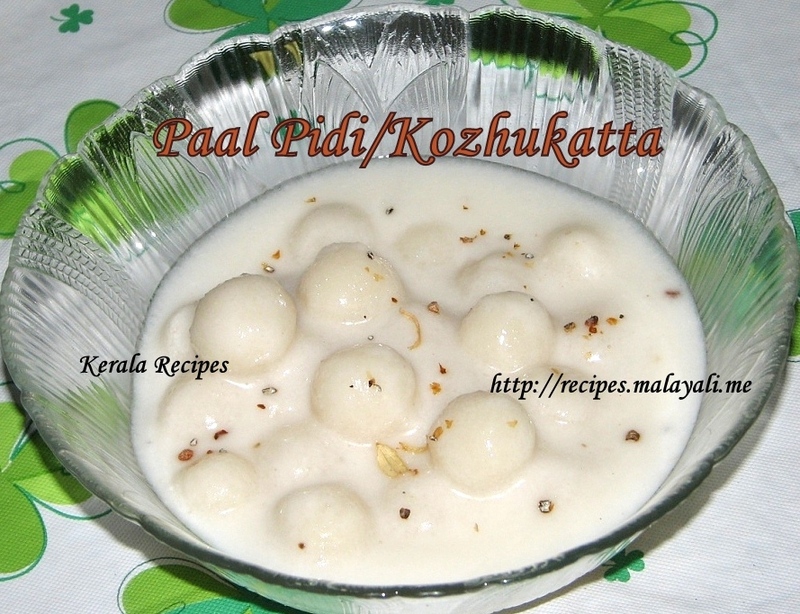 Here is the recipe for a sweet tea-time snack/dessert from Kerala known as Paal Pidi or Paal Kozhukatta. 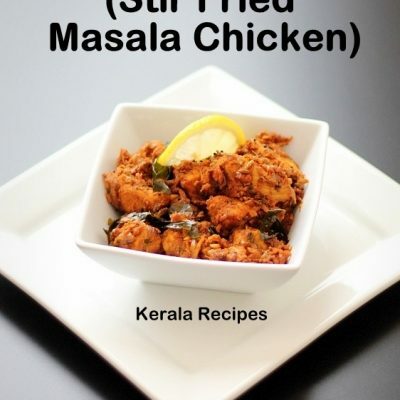 This dish is also popular in Tamil Nadu. Pidi (Rice Flour Dumpling) is popular in Central Kerala specially among the Syrian Christians. 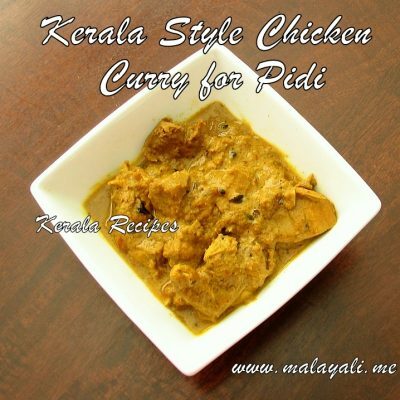 Regular Pidi is not sweet and is usually eaten with Chicken Curry whereas Pal Pidi is sweet and is prepared in Coconut milk. Pal Pidi is the perfect dessert or tea-time snack for all sweet lovers. I was introduced to this sweet Paal Pidi by my mother-in-law. 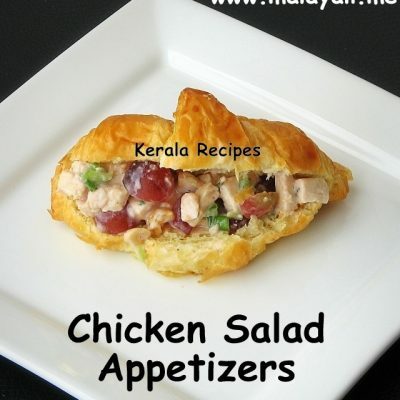 She had tasted it at her neighbour’s place in Chennai. She was reminded of something similar known as Alli Pidi. The dumplings in Pal Pidi are round in shape but in Alli Pidi, they are cylindrical in shape. I was trying Paal Pidi for the first time though I have had regular Pidi and Chicken Curry ample times. 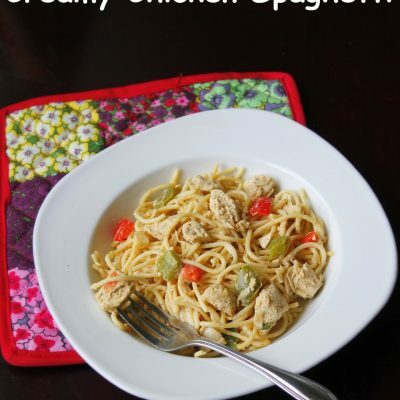 This recipe is pretty simple. You need to try it atleast once to appreciate it. I found it even better than Gulab Jamuns and Rasgullas. Combine rice flour, salt and coconut milk in a vessel. Bring water to a boil. Add the hot water little by little to the rice flour and mix with a spoon until combined. When it is cool enough to touch, knead everything using your hands to form a smooth dough. Prepare small cherry sized balls using the dough, dipping your hand in water occasionally to prevent the dough from drying up. 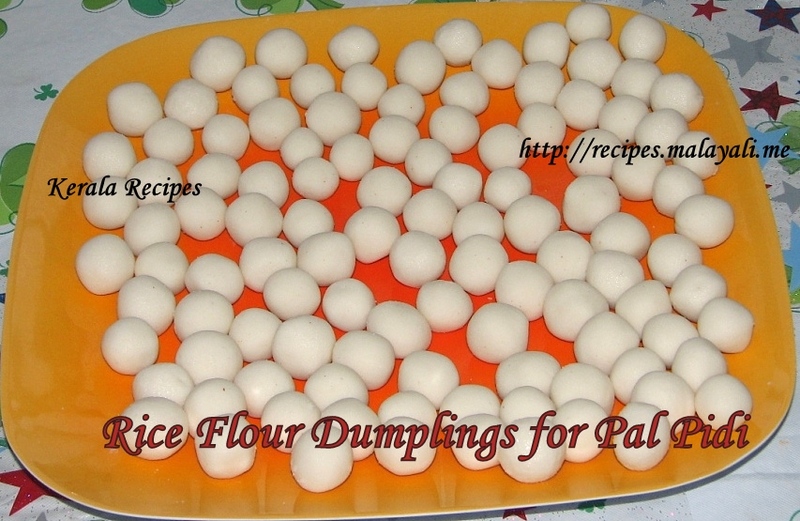 You can prepare around 100-120 dumplings using the above proportion. In a wide pan, bring coconut milk and water to a slow boil. Add powdered cardamom and sugar and stir well. Reduce heat and slowly, add the rice balls to the pan. Do not add the balls on top of one another or they will stick. Instead spread it around in the pan. Cover and cook for around 8-10 minutes on very low heat. Remove from heat and keep it covered until ready to serve. The rice flour should be smooth, without any lumps. 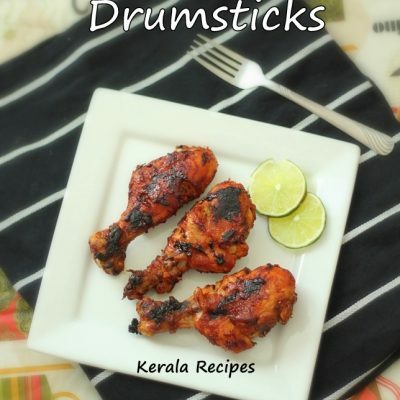 You can use commercial Idiyappam or Puttu Flour for this recipe. Some people use Regular Milk instead of Coconut Milk though I have never tried it. You can also lightly steam the dumplings before adding it to Coconut Milk. This will prevent the dumplings from breaking. This Coconut Milk Pidi is really a mouth watering snack.